Green Bank, W.V., where the electrosensitive can escape the modern world. 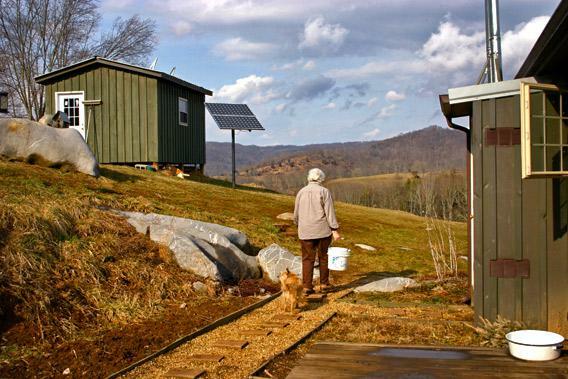 You can turn your phone on in Green Bank, W.Va., but you won’t get a trace of a signal. If you hit scan on your car’s radio, it’ll cycle through the dial endlessly, never pausing on a station. This remote mountainous town is inside the U.S. National Radio Quiet Zone, a 13,000–square-mile area where most types of electromagnetic radiation on the radio spectrum (which includes radio and TV broadcasts, Wi-Fi networks, cell signals, Bluetooth, and the signals used by virtually every other wireless device) are banned to minimize disturbance around the National Radio Astronomy Observatory, home to the world’s largest steerable radio telescope. The idea that radio frequencies can cause harm to the human body isn’t entirely absurd. Some research has suggested that long-term exposure to power lines and cellphones is associated with an increased chance of cancer, although most evidence says otherwise. But what these people claim—that exposure to electromagnetic frequencies can immediately cause pain and ill health—is relatively novel, has little medical research to support it, and is treated with deep skepticism by the scientific mainstream. That hasn’t stopped them from seeking to publicize the dangers of wireless technology. One of the most prominent activists in the field, Arthur Firstenberg, gained notoriety in 2010 for suing his Santa Fe neighbor for the effects of her Wi-Fi network. But he began organizing EHS-sufferers way back in 1996—when digital cellular networks were initially installed across the country—forming the Cellular Phone Task Force and publishing Microwaving Our Planet, one of the first books on the topic. In the years since, a fringe movement has grown around the idea, with some 30 support groups worldwide for those affected by radiation. The purported “epidemic” is particularly concentrated in the United Kingdom and Sweden, where surveys have found that 1 to 4 percent of the population believes they’re affected. 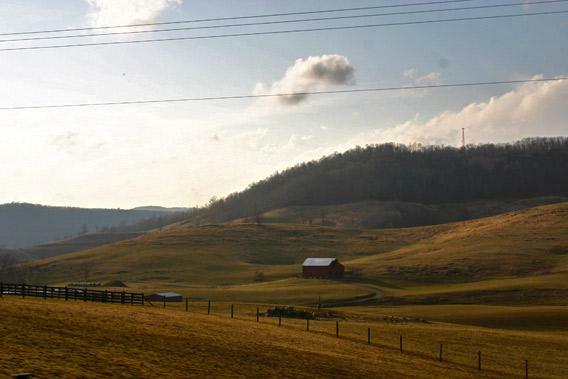 Here in the United States, West Virginia’s Radio Quiet Zone has become a gathering place for the hypersensitive since the mid-2000s, when they first began arriving. Most find out about the area through EHS groups, at conferences, or by reading about it in the handful of news reports published over the last few years. Diane Schou estimates that, so far, 36 people like her have settled in and around the tiny town to escape radiation. When you walk in the Schous’ two-story brick house, 4 miles up a forested road from the Green Bank post office, the first item you see might be a radiation meter they keep in their living room. She and her husband, Bert, moved here from Cedar Falls, Iowa, because they believe Diane is sensitive to very specific radio frequencies. She first began noticing her sensitivity in 2002, she says, when U.S. Cellular, a wireless provider based in the Midwest, built a tower near their farm. “I was extremely tired, but I couldn’t sleep at night,” she said. “I got a rash, I had hair loss, my skin was wrinkled, and I just thought it was something I ate, or getting older.” After she started getting severe headaches, she heard about EHS from a friend and did some reading online, and eventually came to believe the tower had triggered her latent sensitivity. She went for a consultation at the Mayo Clinic, but doctors refused to consider the possibility, and when she wrote to the FCC complaining about the tower, they simply replied by saying it was safe. The Schous often host EHS-sufferers who want to test out Green Bank. One person who relies on their hospitality is Deborah Cooney, a singer, pianist, and voice coach from San Diego. Her problems began in 2010, she told me, when a smart electricity meter was installed on her house; she believes this triggered her boyfriend’s heart issues, led to her own hypersensitivity, and even caused her cat to start panting, pacing, and shaking her paws. Over time, Cooney’s symptoms intensified—they included fatigue, numbness, circulation problems, and intense jolts of pain in her heart—and she impulsively moved out one night in October 2011. “I got so sick that I felt my life was in serious jeopardy, and if I didn’t leave that minute, I didn’t know if I’d survive,” she said. She drove cross-country to the one friend she had who didn’t get any cell service (he lived elsewhere in West Virginia) and learned about the Radio Quiet Zone soon after she arrived. It’s clear that Cooney, Schou, and the others are suffering. But the question remains: What exactly is “the problem”? Even a skeptical thinker can be briefly entranced by the notion that researchers may have simply failed, so far, to uncover a real disease—as Carl Sagan was fond of saying, “the absence of evidence is not evidence of absence.” It’s especially tempting when talking to someone like Nicols Fox, who reported for the Economist on food safety issues for more than a decade and wrote three books before moving to the nearby town of Renick, W.V., in 2008 in an attempt to control her EHS. A science-minded person who probably would have once scoffed at the idea of hypersensitivity, she gradually came to believe that her shooting pains, unpredictably plunging heart rates, and difficulty speaking were a result of years in front of a computer. “I got more and more sensitive, and eventually there was a day when my body just screamed when I touched the keyboard,” she said. Now, she lives simply in a little two-bedroom house on a forested ridge and does her writing on a typewriter (she’s working on a novel), mirroring the Luddite tradition she once wrote a book about. At night, she wears a shirt woven with silver fibers to reduce her radio frequency exposure, and though her house has electricity, she shuts it off and uses gas lamps whenever possible. During our conversation, her voice would occasionally get cracked and raspy if I got too close with my audio recorder. In the five years since she’s moved to the Radio Quiet Zone, she hasn’t left once. Fox’s position on the dangers of radio frequency seems to make sense at first glance. “It’s completely artificial, we’ve invented it, and it’s never been on this planet before, so nothing—not animals or humans—is adapted to it,” she told me. Of course, this kind of thinking (that a natural state is inherently better than an unnatural one) is a logical fallacy, and can’t replace actual evidence in proving the existence of EHS. Nevertheless, Fox and others who believe they suffer from it often compare wireless devices to tobacco—a dangerous addiction that many of us sign up for before fully understanding the risks. Unlike many people who believe they suffer from EHS, Fox doesn’t seem particularly worried about proving it. “I don’t care if there’s research or not,” she said. “I’ve done my research. Meaning, I’ve sat in the doctor’s office and seen my heart range drop to 36 beats per minute when they turn the equipment on.” As she points out, there’s no reason why she’d turn her life upside-down—abandoning her career and selling her house on Maine’s Mount Desert Island—to fake a disease. Some EHS-sufferers criticize provocation studies, saying that holding them in a lab means spillover radiation from equipment and nearby buildings even in the sham condition. They also argue that the experiments don’t necessarily use the correct radiation frequency. (“The scientist is pretending to be God, knowing what frequency that person will react to,” Diane Schou said to me.) But Rubin points out that many provocation studies start with an unblinded stage, where the participants are truthfully told whether the electromagnetic field is on. “They almost always report symptoms when they know it is on, and not when they know it is off,” Rubin said. “In the second stage, when the experiment is repeated double-blind, they report symptoms to the same extent in both conditions.” When the participants know whether the field is on, in other words, contaminant radiation and frequency specificity suddenly aren’t such big problems. As such, the best predictor for whether a hypersensitive person will experience symptoms isn’t the presence of radio frequency—it’s the belief that a device is turned on nearby. An elegant demonstration of this on a much larger scale took place in 2010, when residents of the town of Fourways, South Africa, successfully petitioned for a cell signal tower to be taken down because of the sickness caused by its radiation—even though it was later revealed that it hadn’t been switched on during the time of their complaints. The idea of EHS is also undermined by our basic understanding of electromagnetic radiation. The full spectrum of electromagnetic radiation is divided into ionizing and non-ionizing frequencies. The former category, which includes X-rays and nuclear fallout, is energetic enough to tear electrons off our body’s atoms and cause radiation sickness; the latter isn’t. While the frequencies in this latter group (which includes visible light, cell signals, Wi-Fi, and the radiation from power lines) can burn biological tissue at extremely high intensities, our devices operate at levels well below anything considered harmful. The alluring idea that life hasn’t evolved to withstand non-ionizing radiation becomes silly when you consider that the main source of it on planet Earth is sunlight. As Fox and others note, there is research supporting the idea that EHS is real—but scientists largely dismiss it as pseudoscience. Most well-known is the BioInitiative Report (a non–peer-reviewed publication authored by 29 self-described “scientists, researchers and public health policy professionals”), which has been widely criticized for selectively using favorable studies and data. The European Commission noted that, contrary to its claims, the report was a post facto assembly of many different papers and studies, not the consensus of a working group, and that it often ignored the conclusions of the researchers themselves in interpreting the data. A recent article in the Guardian cited a 2011 study by a team of LSU neurologists that purported to find that electromagnetic frequencies caused headaches and muscle twitching, but the study involved only one subject—and even she wasn’t able to identify if a field was turned on at rates better than chance. Given the data, the long-hidden danger of tobacco isn’t an apt parallel for the supposed harm of radio frequency radiation. But other episodes from history are. Technology historian Genevieve Bell says that in the early days of rail travel, experts warned that if a woman traveled faster than 50 miles per hour, her uterus could suddenly fly out of her body. Bell has charged the many instances throughout history in which new technologies triggered unfounded, irrational “moral panics.” She theorizes that innovations which change our relationship to time, space, and other people are the most likely to incite fear. It’s hard to imagine technologies that hit all three of these all comprehensively as smartphones and the mobile Web. You could also view EHS as a mass psychogenic illness, in which very real symptoms arise from a socially contagious belief in a nonexistent disease. In 1962, for example, after a June bug infestation at the Montana Mills textile factory in North Carolina, workers began getting sick: They broke out in rashes, experienced nausea, and in some cases fainted and required hospitalization. A total of 62 workers exhibited symptoms, but doctors and entomologists couldn’t find any explanation. In a seminal 1968 study, a pair of psychologists who had interviewed the staff concluded that their physical symptoms had been triggered by the belief that they were at risk, reinforced by local news stories about the infestation and resulting contagion. Interestingly, those with close friends who’d gotten sick first were more likely to develop symptoms, as were those more stressed and dissatisfied with their jobs. Other episodes attributed to mass psychogenic illness include a supposed post-9/11 chemical attack at a Maryland Metro station (in which window cleaner somehow caused 35 people to develop headaches, nausea, and sore throats), and last year’s mysterious outbreak of twitching among female high school students in Le Roy, New York. Our brains’ expectations, it turns out, have a surprisingly potent effect on the functioning of our bodies. If the people who moved to Green Bank truly suffer from piercing headaches, nausea, and dizziness when they are around wireless signals, the nocebo effect (and previous instances of mass psychogenic diseases) is as good an explanation of anything we have so far. But what does this mean for people who believe they suffer from EHS? Probably not much. Science might say that they can’t possibly be allergic to cellular networks, but as long as they are certain they are, the Radio Quiet Zone is the one place they can get relief. So, for now, most of them plan to stay in Green Bank, and more arrive all the time. In just the week before I visited, Bert Schou told me, they’d gotten calls from people in New Mexico, Oklahoma, and Virginia asking whether they could come stay. Diane wants to raise money to build a resource center for the hypersensitive nearby, where they can be medically evaluated in a radiation-free setting and stay overnight when necessary. Correction, April 12, 2013: This article originally misspelled the name of the town of Marlinton, W.Va.